Check out the special announcement we made on Shark Tank! 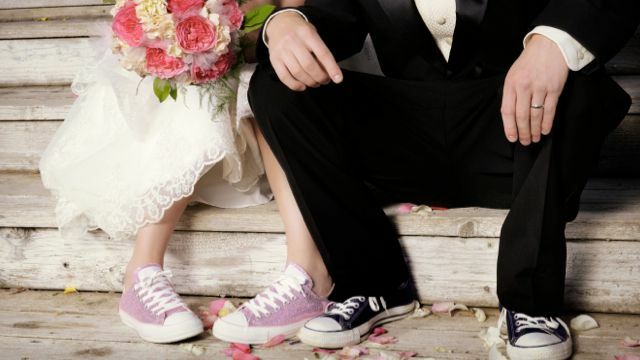 Honeyfund + Target Partnership - The Perfect Mashup of Modern & Traditional Wedding Registries! 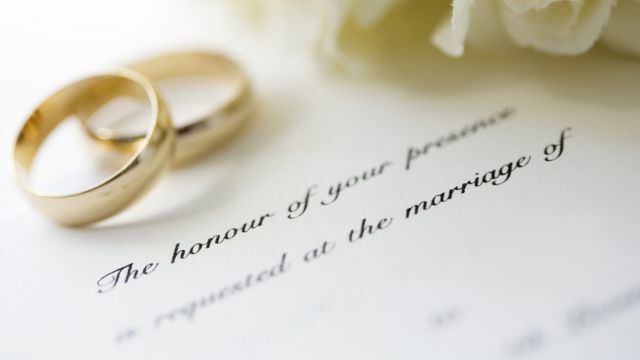 Now wedding couples can register for that coveted mixer as well as incredible honeymoon experiences like the balcony suite on the cruise they’ve always wanted to take, all from one combined registry. The bottom line? Convenience! Start your Target + Honeyfund registry here! 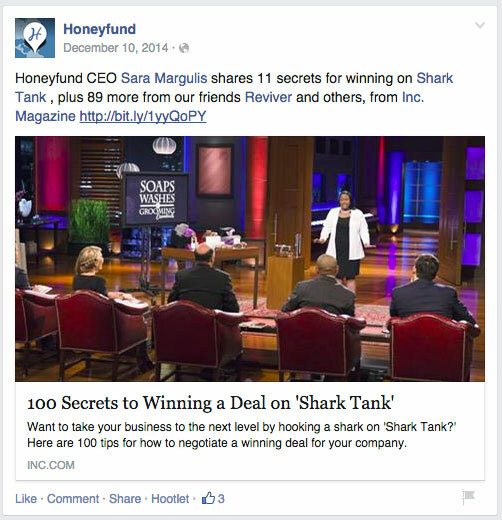 This Sunday on Shark Tank: Honeyfund Partnership Announcement! 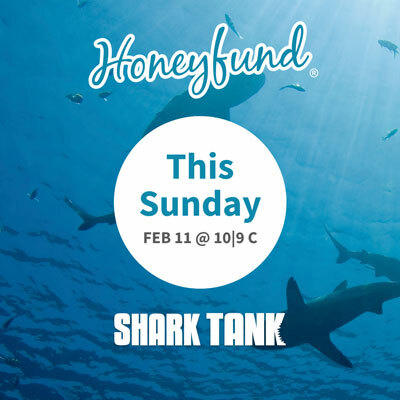 We’re making another appearance on Shark Tank — tune in Sunday, February 11 at 10 p.m. for a special update on Honeyfund! We can’t wait to share a SUPER exciting announcement with you all! 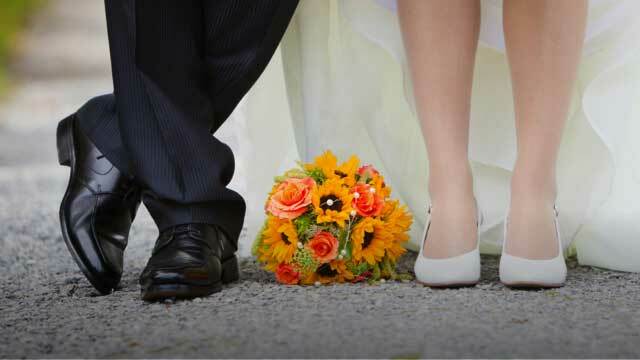 Hint, it’s a new partnership we think ALL wedding couples will be pretty excited about. Watch and tell us what you think on Twitter, Facebook and Instagram @Honeyfund. 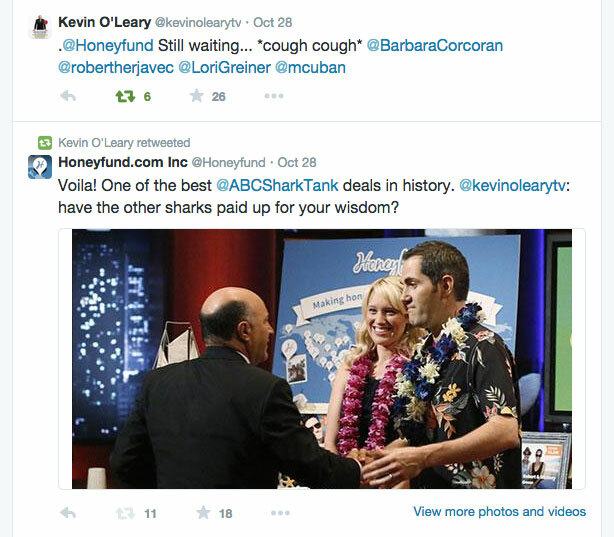 If you’ve been watching ABC’s follow-up reality show “Beyond the Tank” you probably have a new appreciation for what entrepreneurs go through after appearing on ABC’s award-winning “Shark Tank.” As a Shark Tank winner I get a lot of questions like, “do they really know nothing about you when you walk into the tank?” or “is the deal we saw you make on TV really, really real?” Beyond the Tank answers those questions, even offering too much information at times, about how REAL it can get after getting a deal on Shark Tank. 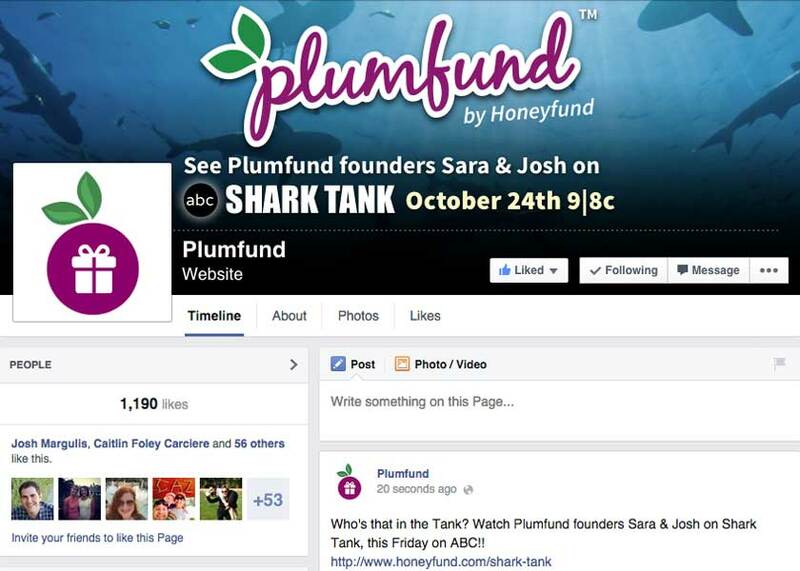 For Honeyfund and Plumfund, life beyond the Shark Tank got really real, really fast. As entrepreneurs who did it all to start and grow Honeyfund for eight years before appearing on the show in 2014, we knew what busy was; We were experienced working 80 hours a week while raising small children. But we had no idea how much harder we would work post-tank. Aside from the “nice to have” problems like more customers and the added man-hours to serve them, there were pressures we didn’t expect. For example we were no longer the only people who cared about our success; While it was exciting to have a Shark like Kevin O’Leary in our corner, we had a natural fear of falling short of his expectations. 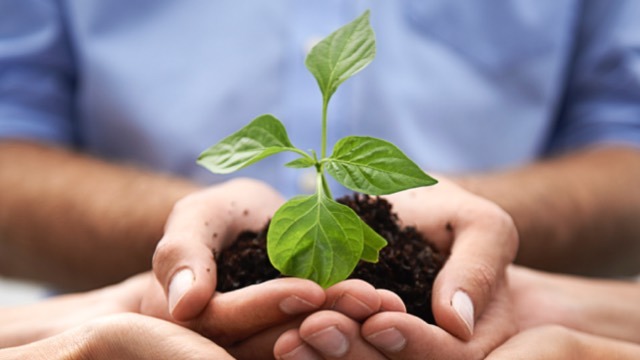 As our company grew, we also felt pressure to provide sustainable employment to our team members. Our company is one of very few high-tech employers in our little town, and our team is like family. It would crush us to let them down. And then, of course, there’s the pressure to spend the investment money wisely. You’d be surprised how many ways there are to throw hundreds of thousands of dollars away. If you’re thinking “I’d love to have any of these problems,” I get it. All the above are part of the deal, and despite them, yes, it’s still a deal we’d take in a heart beat. But do you want to know what the REAL challenge has been? Staying true to our mission and values. 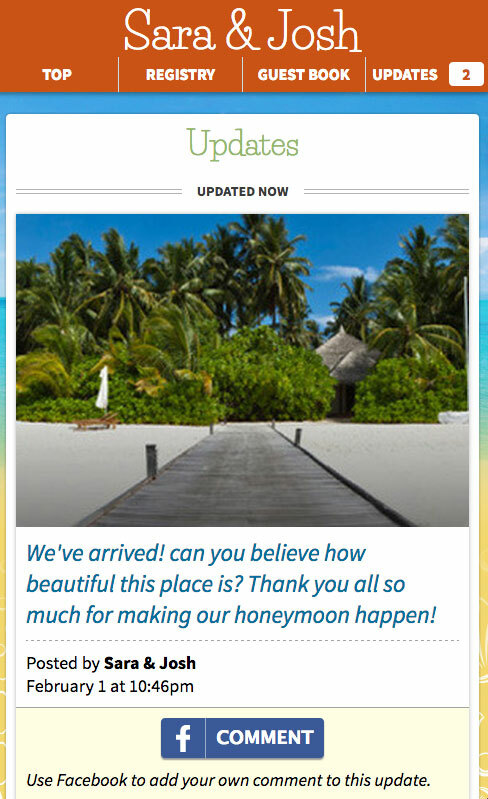 For Honeyfund, our mission is simply to help wedding guests make a couple’s dreams come true without high fees. 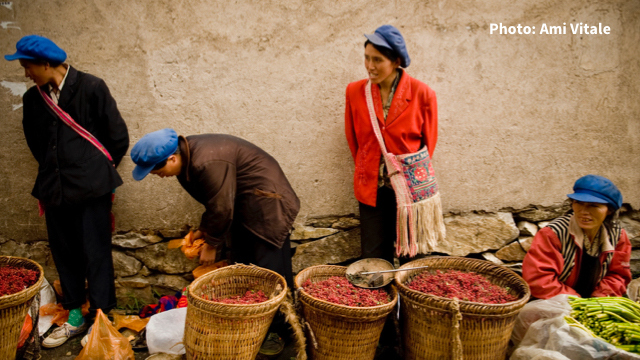 With Plumfund, we aim to provide simple, low-cost, and customizable crowd-gifting for all of us who strive to make a difference in the lives of others. We value offering the best service at the lowest price. We are completely committed to customer success. 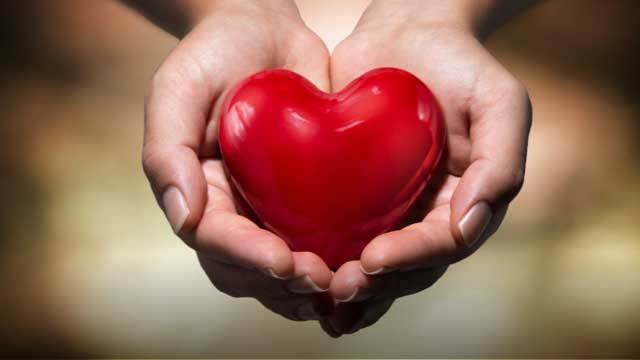 We care fiercely for the human feelings involved in giving and receiving money online. Yet seemingly every day we are faced with decisions that could improve our revenue at the expense of any one of those. Learn more about the real trade offs we’ve had to make – including a risky business model change to Honeyfund – on Beyond the Tank, Friday May 20 at 8 pm/7 pm central on ABC. Honeyfund is Kevin's Favorite! Tune in Sunday, September 13 at 8|7c during Shark Tank Week to watch Mr. Wonderful's favorite episode from Season 6, Honeyfund! Tune into ABC's Shark Tank February 1 at 10|9c after the Super Bowl, for an encore presentation of Honeyfund founders Sara and Josh Margulis' pitch to the Sharks! 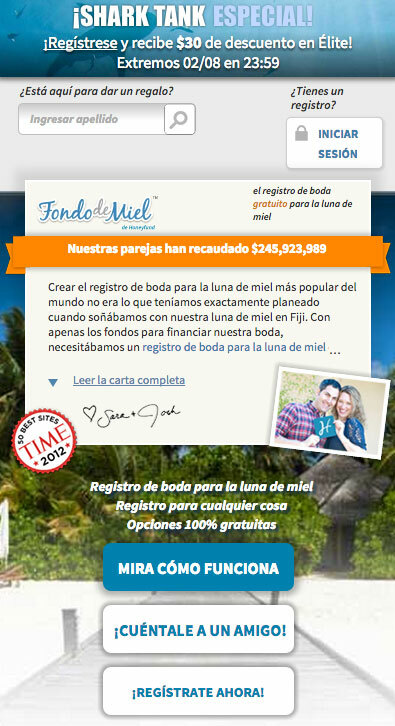 We're thrilled to announce the launch of Honeyfund in Spanish: Fondo de Miel! To celebrate, new users of both Honeyfund and Fondo de Miel will receive a $30 discount on our Elite package, good through Feb 8. And don't miss our Plumfund special: Sign up and you could win $250 toward your campaign! Our appearance on Shark Tank has been huge for site traffic and customer volume on both sites (2.5x year over year). It's amazing to have the support of 8 million Shark Tank viewers! 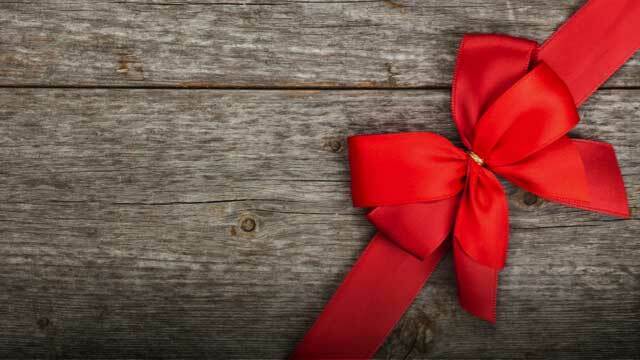 We promise to continue to work hard to improve our free crowd-gifting tools and take the company to the next level! It's Shark Tank rerun time! Catch us on ABC, Sunday, Feb 1 at 10/9 pm central. 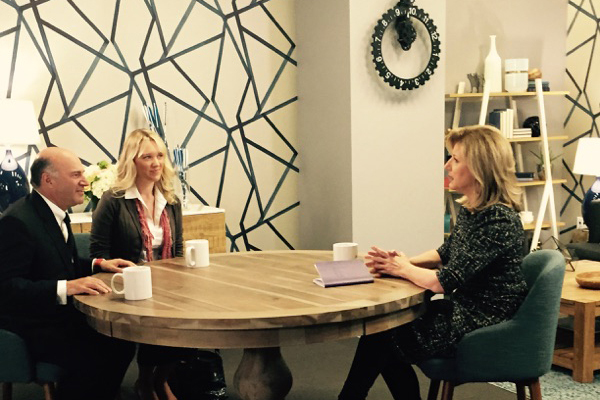 We're thrilled to share our Shark Tank success story with viewers one more time! Check out our "in the tank" photos, re-posted to our Honeyfund and Plumfund Facebook pages! 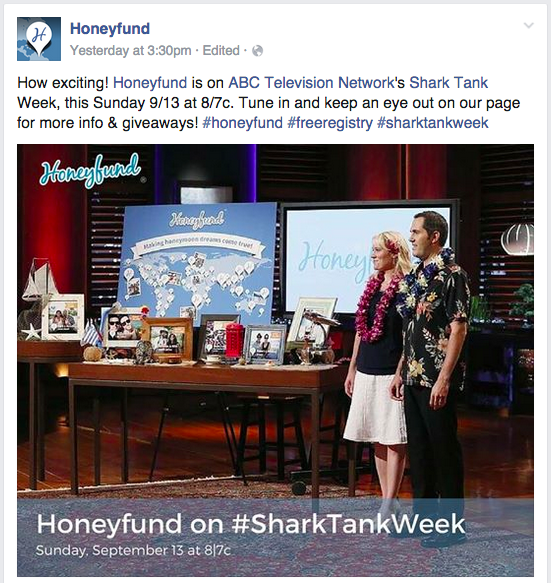 And tune into this page on Sunday for a Shark Tank update, as well as special offers from Honeyfund and Plumfund! Extra! Extra! We've closed our deal with Kevin O'Leary! Read the full release. VIDEO: Sara and Josh on the set of Shark Tank, getting ready to walk into the Tank! 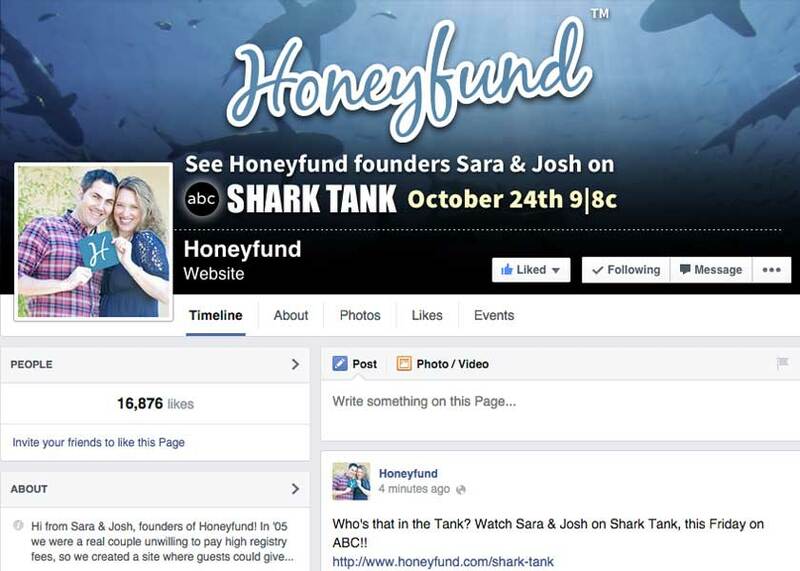 VIDEO: Sara and Josh talk about what it was like to actually walk into the Shark Tank! Sara and Josh trying on wardrobe options. This was the winner! 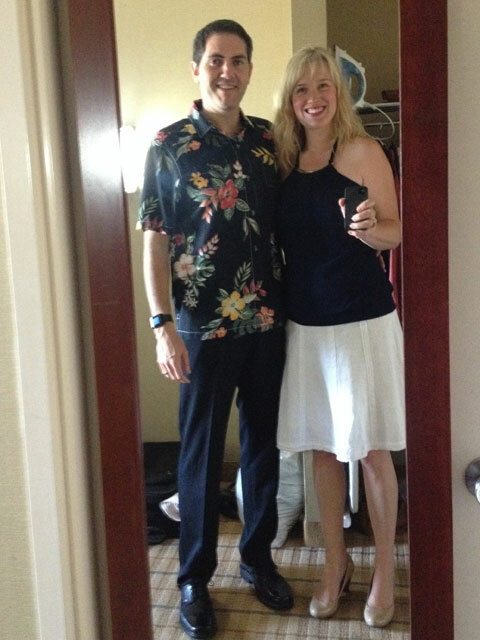 That sweet Hawaiian shirt courtesy of a late-night trip to Tommy Bahamas Manhattan Village. 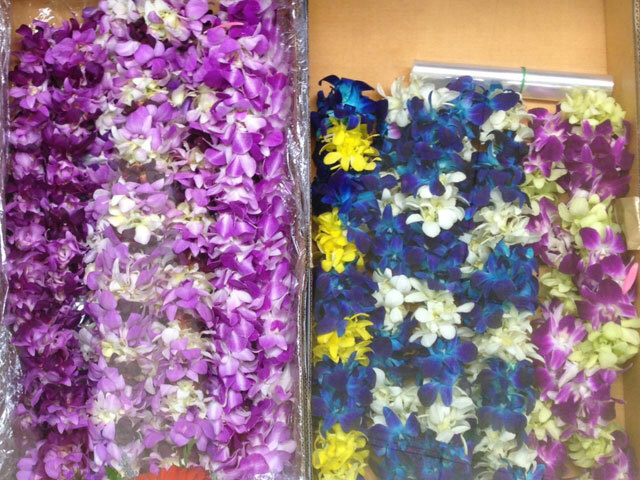 At the florist, finding leis for the Sharks! 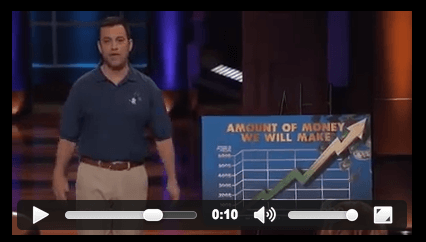 VIDEO: Jimmy Kimmel to appear on our Shark Tank episode! Click an image to check out new "in the tank" photos posted to our Honeyfund and Plumfund Facebook pages! Sara & Josh getting ready to fly to LA, picking up the photos used in their set display. 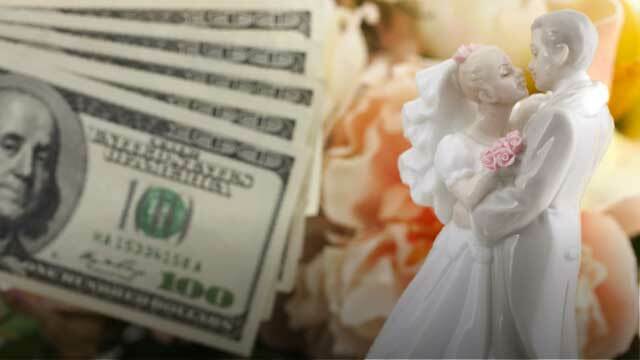 Start your free Honeyfund wedding registry now! 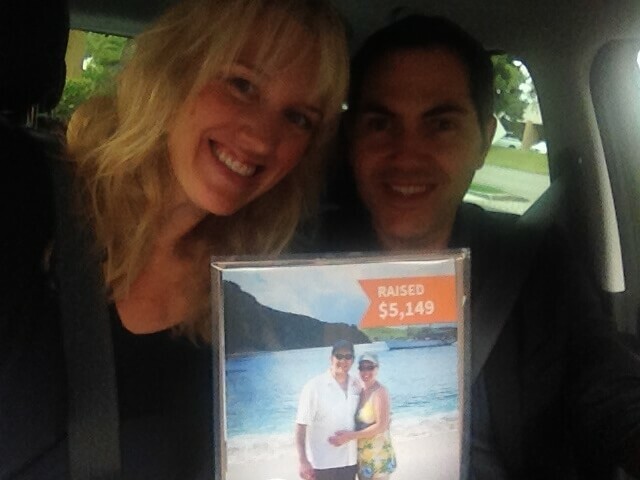 Or, raise money as a present for an upcoming birthday, anniversary, baby shower or other life event! Start your Plumfund now!